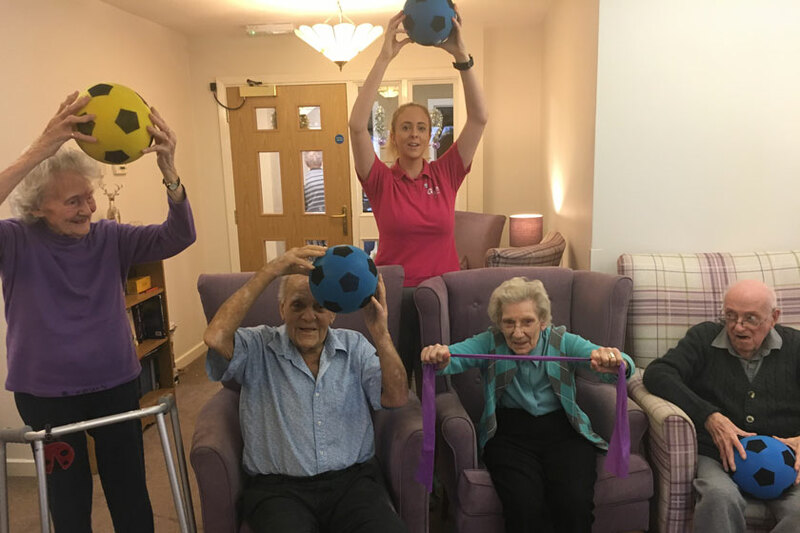 GFitness is an inclusive exercise class with residents of all abilities at Hastings Residential Care Home in Malvern getting involved in activities such as armchair exercises using bands or balls as well as standing and balance work exercises. As well as promoting health and wellbeing, the benefits of being active can help with balance, flexibility, socialisation as well as cognitive stimulation, maintaining independence and reducing falls. Emily Probert, GFitness instructor concludes: “There’s no age limit on fitness and what you are capable of doing."